The Allett Verticut Cartridge is designed to be used with the Allett cylinder mowers, making them an incredibly useful tool. 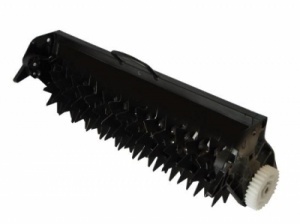 Easy to fit, and very effective, the Verticut is designed to cut slits into the soil with its closely spaced tines, to remove lateral growth and moss. Available in 3 sizes depending on the width of the machine - 14" 17" OR 20";. Working Width: 14",17" or 20" Select when adding to basket.Available for Kensington machines.